I’m still trying to understand the events of this week in the red part of the blue state, California. The news was jarring on Wednesday morning. A stabbing at UC Merced? Is that Berkeley? No, more like three hours away. Merced is in the deepest part of the least populated and most underserved part of California, the Central Valley. It is the forgotten interior, the last place you’d expect to hear an alert about a mass stabbing involving five people. Not in a place of higher ed like UC Merced, which should be the crown jewel of civility in the arid valley. At least it involved a knife, not a gun. A little less volatile. But there was a gun, as well. The campus police were armed, and a gun ended the drama that left four with stab wounds: two students, one employee, and one university contractor. All of them taken to area hospitals, all expected to survive. The real victim? The then-unidentified suspect with the knife who was shot and killed by the UC Merced police. An overreaction? Let’s see. Gun, knife. I know what trumps. I’ve played rock, paper, scissors. Consider too that the suspect reportedly was running away from the scene with a backpack. You’d figure a properly trained and fit campus cop would be able to overtake and subdue such a suspect. But a gun makes for easy justice, making a cop judge, jury, executioner–a one-stop shop. It wasn’t until nearly 24 hours later that the one thing we all wanted to know—the identity of the suspect–was revealed. Faisal Mohammad, 18, of the San Francisco suburb of Santa Clara. That’s all the Merced Sheriff’s office and the campus sources would say. But we knew they couldn’t just leave that out there alone. Or keep mispronouncing his name as FAY-zell, rather than FIE-zell. They would have to say more. But it was nearly six hours later at 1 pm PST that they decided the internet had enough time to play. From the start, trolls had begun making fun of how people would want to ban knives now, or do a knife buyback. And when the suspect’s name was revealed, well, the assumptions flowed freely. That’s when I began to see the racist tweets. That’s the clarification everyone wants to hear any time something like this happens. Please just say it’s not…an act of terrorism. That the UC Merced chancellor had to say those words is indicative of just how far we are from a post-racial America. Because these days, we are quick to judge on face value alone. Black. White. Asian. Latino. South Asian. We all have our stereotypes. You know them well, and instead of taking our time when pressured, too many of us are happy to take the short cut to understanding. Historically, Asian Americans know all too well. From “Yellow Peril” to the Chinese Exclusion Act and the incarceration of Japanese Americans during World War II. In the case of Faisal Mohammad, we see an Islamic-sounding name. We see a non-white possibly South Asian face, and out of fear and ignorance, many of us now are more than happy to take the leap. 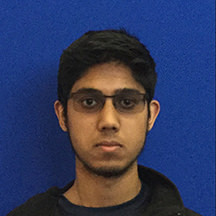 Warnke said Mohammad was deemed just a normal college kid at UC Merced. The June graduate from Santa Clara’s Wilcox High School was a young kid growing up, a freshman away from home for the first time. A quiet, but smiling loner. Maybe, in his way, he was reaching out? And then came a micro-aggression. Warnke said on Thursday night, something that was being called a “manifesto” was found on Mohammad’s body by the coroner. They all have manifestos now. Apparently, Mohammad felt slighted from being pushed out of a study group, and he had targeted his transgressors. Warnke said at a Wednesday press conference that Mohammad was found with petroleum jelly, a nightscope, some zip-tie handcuffs, a small hammer, and duct tape. “I think he planned on doing extra stuff,” said Warnke, who later told reporters that the plan included drawing police into a situation and then stealing a gun from them. Mohammad seemed to have some video game fantasy. He had no gun. There was no gun in the situation at all, until the police introduced one..
Maybe knowing there was a troubled kid with personal issues, and not some jihadist, the police would have acted differently as they chased him down. The Merced Sheriffs’ office will conduct the investigation on the UC Merced campus cop’s action. Was pulling a gun on a knife suspect really justified? Was the suspect without a gun threatening as he ran away from the police? Did the race of Mohammad play a role in the decision to shoot? At some point, we’ll hear from the cop and go over his/her training and experience. But we’ll never know what Faisal Mohammad thought or saw, or what he felt that day. In Merced, they took the shortcut to justice.